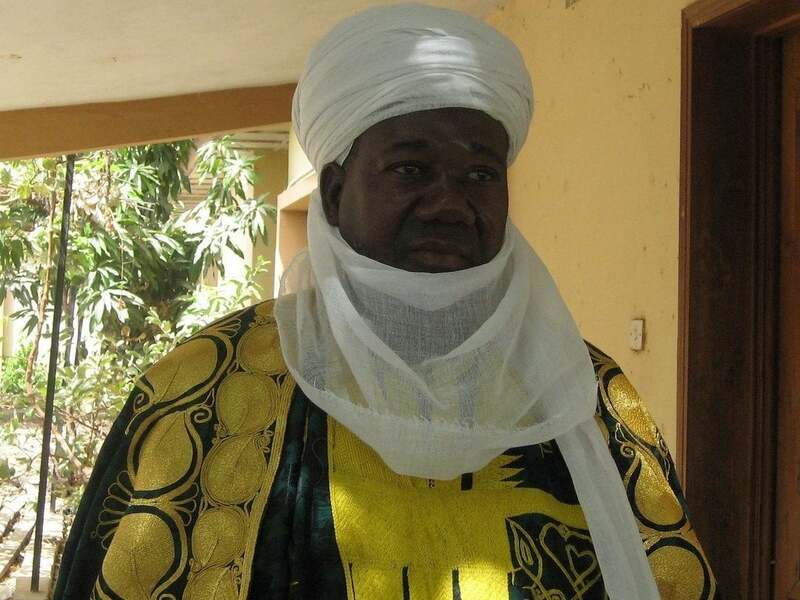 The legendary Patigi Emirate in Kwara State was shaken to its marrow on Tuesday 19th February, 2019, with the irreparable demise of Alhaji Ibrahim Chatta Umar, the Etsu Patigi and Vice Chairman of Kwara State Council of Traditional Rulers. The late Umar was a celebrated king in every sense of the word. It is with indescribable joy, gratitude and feeling of fulfilment, I vividly recall my maiden encounter with the king. And indeed, his personality was endeared to me right from the get go. The late Umar, a consummate traditional leader, was the first person to compellingly educate me on the virtue of formal education and why I must go to school. Another distinct personae of the departed Emir is selflessness. He was a king with a great sense of obligation to his immediate society, Patigi Emirate and Kwara State, by extension. This much, he has demonstrated, since he became Etsu in 1999. It is an open secret that Patigi was still crawling, trying to catch up with civilization and modernization when he was appointed and subsequently coronated exactly two decades ago. Nonetheless, as a new Emir then, he used his powerful social networks to rescue his home land from the clutches of socioeconomic underdevelopment, occasioned by high level of illiteracy, dehumanizing poverty, hopelessness and lack of clear understanding of human capital development as a bedrock of development. Perhaps due to his uncommon compassion for the poor and less privileged in the society, Etsu Umar, was a monarch with an extraordinary knack for philanthropy. Afraid of sounding hyperbolic, I dare say that even his cynics would have been confounded by the late revered Etsu’s spirit of generosity, which was obviously unparalleled. Alhaji Umar, more than anything, abundantly provided opportunity for his teeming subjects to become successful in life. It is a naked reality that since he ascended the exalted throne of his illustrious predecessors, the narrative of Patigi changed. Under his reign as a purposeful Etsu Patigi, the emirate has tremendously experienced a drastic socioeconomic metamorphoses, with rising number of university graduates, increasing number of the citizens owning lucrative business ventures and other valuable assets, to mention a few. These, among others, are the vital metrics for evaluating the wellbeing of a people. As a child, I was greatly fascinated by the captivating spectacle of royal procession, especially during festive celebrations, when the late Etsu and his entourage rode on gorgeously-decorated horses to salute his subjects. Two decades back, the imposing palace of the departed Etsu was still a Mecca I must visit every day. Except for school hours, if you cannot find me at home during my primary school years, I am at the stable (where horses are kept) in the palace. An event that has permanently stuck in my mind occurred in one bright morning of late 90s. I went to the palace to catch a glimpse of newly-added stock of horses. It was at a time my school had declared a mid-term break. Fortunately, Alhaji Umar was at the stable to inspect the new arrivals. There, I had a one-on-one encounter with him for the first time. Initially, I was quite timid meeting the highest traditional authority of Patigi land, whom our parents somewhat deify and subconsciously consider as next-to-God. Upon sighting me, he frowned, asking in a husky voice, “Young man, what are you doing in the palace during school hours?” I was terrified. But I eventually mustered courage, and told him that my school was on break. My experience exemplifies the late Etsu’s unadulterated passion to see every child in the land educated. A friend of mine, who the departed Patigi Emir sponsored his education, had told me in a recent informal discussion that Baba’s financial responsibilities were growing exponentially. He said many students in various tertiary institutions across the country are presently beneficiaries of scholarship awards from Baba. Among several other things, the sterling moral and exemplary leadership traits possessed by the Alhaji Umar stood him out among his contemporaries. In him, everybody who crossed his path saw a foremost traditional leader per excellence. A leader whose accomplishments are indelible, remarkable and groundbreaking. The entire people of Patigi, Kwara State and Nigeria, will for a long time mourn his painful exit. But striving to lead a selfless, devoted and humble life, while upholding some of the lofty ideals he stood and fought for during his lifetime, are the most precious gifts we can offer the immortal memory of the iconic Alhaji Ibrahim Chatta Umar. May his virtues challenge us all to leave the world better than we found it.